he ORBIT is a wall surface mounted fixture which uniquely combines two different uplight and downlight effects. 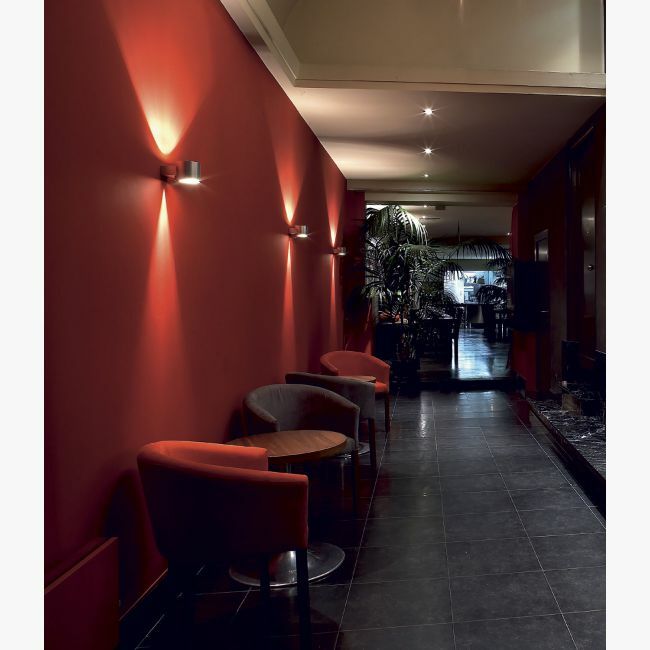 Combined with aluminium or chromed finish, this light effect really makes this fixture stand out! Upward we can see a wide flood which even reaches the ceiling, depending on the mounting height of this fixture. Downward, a delineated narrow beam of light is projected on the wall. This indoor fixture is available in an aluminium or chrome finish. Combining multiple ORBIT’s, you can create playful combinations of light effects on your wall. We believe this product is suitable for both residential and hospitality applications.